One of the things that everyone love about Spain is paella and sangria. 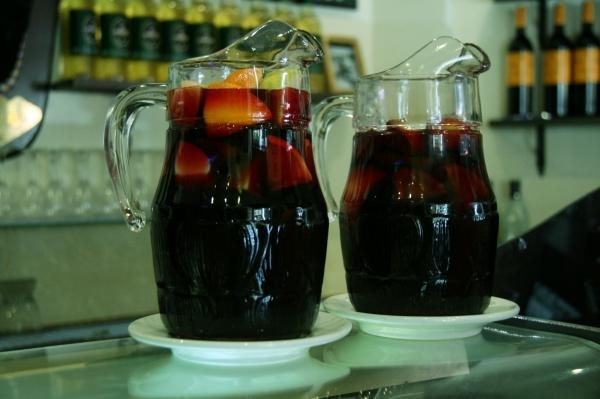 It may seem a cliché, but ends up being something real, since a large part of foreigners ask sangria for its quite different and strong taste. It is a drink that is served throughout the year, but summer is the best time, since always is served chilly. The advantage is that it’s a wine cocktail, mixed with other ingredients, but there are different varieties and types of sangria: from the traditional, made with red wine, to the white wine and cava ones. The good news is you do not need to travel to Spain to drink sangria. You can make your own to share with friends or at a party, with different recipes. We can choose a quality and renowned red wine as Rioja, a bottle is enough, add some soda, ¼ cup sugar, orange juice and lemon, fruit cubes, orange and lemon slices, and some other liquor as Cointreau or brandy. It is a variety of sangria that can be found in Spain, but also in other countries. A bottle of cava will suffice, some brandy, 3 tablespoons sugar, fruit (may be lemons or oranges and their juice). You must also add ice, as in traditional red wine sangria. The colour will be different, though some people add a splash of red wine to add colour. 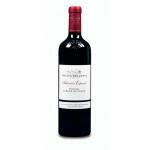 It is less common, but increasingly popular, since its taste is slightly less powerful than the red wine one. Use a bottle of white wine, a quarter cup sugar, lemon juice, fruits to garnish and some herbs, such as mint or basil. The fruits to garnish this type of sangria are also different: lemon, peaches and oranges, because the taste of fruits will be more evident. If we want, we can also add a splash of rum or vodka. 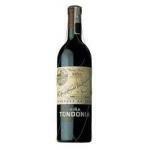 Viña Tondonia Reserva 2002 is a is a red wine with DO Rioja from the Viña Tondonia. Abadía Retuerta Selección Especial 2009 is a a wine red with the VT Castilla y León DO based on the best of syrah and cabernet Sauvignon from 2009 and 14º of volume of alcohol.